Chemical disarmament completed in Russia. 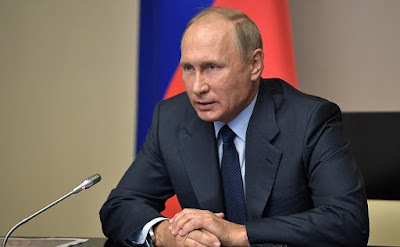 Putin.BLOG Armed Forces News Chemical disarmament completed in Russia. President of Russia Vladimir Putin listened to a report via video conference on the destruction of Russian last remaining chemical weapons. Destruction of the last remaining Russian chemical weapons. 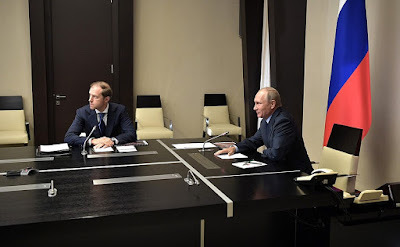 Mikhail Babich, Presidential Plenipotentiary Envoy to the Volga Federal District and Chairman of the State Commission for Chemical Disarmament, reported to President Vladimir Putin on the completion of chemical disarmament ahead of schedule. Hamid Ali Rao, Deputy Director-General of the Technical Secretariat of the Organization for the Prohibition of Chemical Weapons (OPCW). We are witnessing an important, you could even say historic, event because the last chemical ammunition from Russia’s chemical weapons arsenal will be destroyed today. Without exaggeration, we can say that this is a historic event considering the massive amount of chemical weapons inherited from the Soviet Union – an amount that, experts believe, would be enough to destroy every living creature on the planet several times. This is a huge step towards greater balance and security in the modern world. Today’s event means our country will fulfill the main international obligation under the Chemical Weapons Convention, which is to completely eliminate its chemical weapons. Russia was one of the first to sign this treaty and has worked closely with its partners to relieve humankind of the threat of the use and proliferation of such barbaric, lethal weapons. On a related note, I would like to remind you of Russia’s key role in resolving the chemical weapons issue in Syria. We can say that this is a historic event considering the massive amount of chemical weapons inherited from the Soviet Union. This is a huge step towards greater balance and security in the modern world. President of Russia, Vladimir Putin. Implementation of the Russian program got underway back in the 1990s when our country was experiencing serious economic difficulties. In the early 2000s we found the resources to step up implementation. A truly enormous amount of work has been done over the course of 20 years. Modern high-tech enterprises were established and domestic technology developed to ensure that the chemical weapons were destroyed safely, in line with the toughest environmental standards and requirements. It is important to make effective use of this experience and built facilities to develop the production of high-tech civilian products. Minister of Industry and Trade Denis Manturov is here today and I would like to ask him to report separately on what is planned to do in this regard. We have repeatedly discussed this issue at different meetings. Colleagues, I would like to emphasize once again: Russia is strictly fulfilling its international commitments, including its obligations on disarmament and non-proliferation of the weapons of mass destruction. We are well aware of the potential dangers and risks associated with the resumption of the arms race and attempts to upset strategic parity. We are always open to meaningful dialogue on enhancing global security and strengthening confidence-building measures. We expect that Russia’s efforts to eliminate chemical weapons will serve as an example to other countries as well. As is known, the largest chemical weapons arsenals belonged to Russia and still belongs to the United States that, regrettably, does not abide by its commitments on deadlines for chemical arms destruction. The deadlines for their elimination have been postponed three times, including supposedly due to a shortage of necessary budget funds, which sounds strange, to be honest, but let it be. We expect the United States and other countries to fulfill their commitments under international agreements. 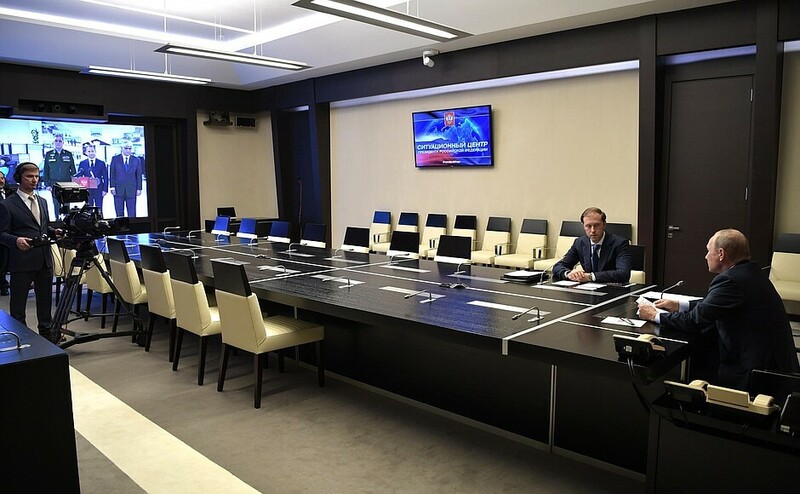 Vladimir Putin at a video conference on the destruction of Russian last remaining chemical weapons. Russia is strictly fulfilling its international commitments, including its obligations on disarmament and non-proliferation of the weapons of mass destruction. We are always open to meaningful dialogue on enhancing global security. I would like to thank all those who took part in implementing this program, who displayed the utmost professionalism, responsibility and, at times, courage. I congratulate you on successfully eliminating the last of Russia’s chemical weapons. I would like to note that our country planned to complete this work by 2020 but completed it ahead of schedule this year, 2017. This is a great success, the result of large-scale, comprehensive and important work of large teams of scientists, workers, and engineers who worked at enterprises specially built for this task. Congratulations to all of you once again. Go ahead, please. You have the floor. Today, as per your instructions, we are completing the implementation of the presidential program on the complete elimination of chemical weapons in the Russian Federation. This effort covered six regions where seven state-of-the-art industrial complexes were built. Let me stress that the technology and all the equipment that was used were developed by Russian researchers and engineers. In addition, in accordance with your instructions, in all municipalities where the facilities for the elimination of chemical weapons were located, social infrastructure facilities were renovated or built, with some 11.5 billion rubles allocated. These funds went towards building more than 400 residential buildings, 20 schools and kindergartens, 14 hospitals, 3 sports complexes, more than 160 kilometers of roads, 640 kilometers of gas pipelines, 240 kilometers of water utilities, and many other social and utility infrastructure facilities that will continue to serve these municipalities and their residents. 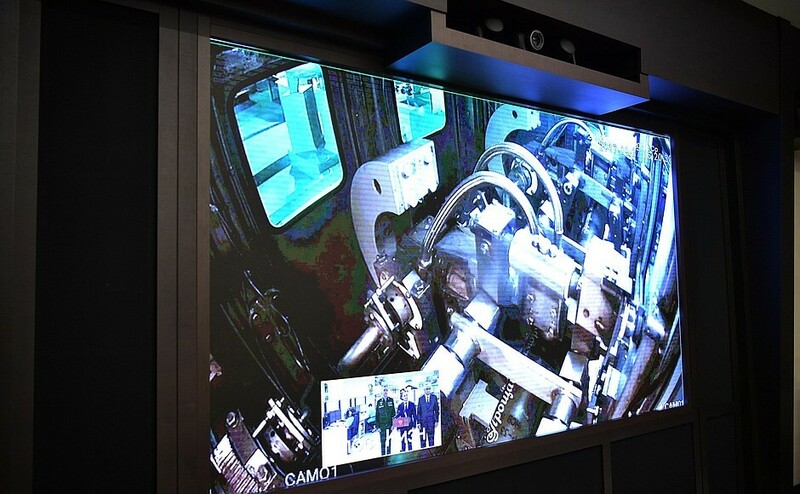 Vladimir Putin listened to a report via video conference on the destruction of Russian last remaining chemical weapons. With Minister of Industry and Trade Denis Manturov. As you have noted, in accordance with international treaties Russia was to complete the elimination of chemical weapons by 2020. However, in accordance with your instruction that seeks, among other things, to ensure the safety of the population in cities and districts where chemical weapons were located, this work has been completed three years ahead of schedule. The fact that today, on September 27, 2017 the last chemical ordnance was destroyed here in Kizner village of the Republic of Udmurtia, was made possible by the efforts of the Ministry of Industry and Trade, the Defence Ministry, the Federal Security Service, the Foreign Ministry, as well as the staff of the Federal Directorate for Safe Storage and Disposal of Chemical Weapons. As you have already noted, out of more than 70,000 tonnes of chemical weapons that existed across the world, 40,000 tonnes were located in the Russian Federation and 28,000 tonnes in the United States. However, the Russian Federation has completed this work more than six years earlier than our US colleagues, despite having a much larger stockpile. Representatives of international organizations and countries that are party to the Convention who are here today express their gratitude to the Russian Federation and you personally for completing this work so fast while observing the strictest environmental requirements. This is a big contribution to international security. It is important to note that during all these years not a single accident took place at a single Russian facility. Mr. Putin, the State Chemical Disarmament Commission has completed all tasks set before it. All these years you personally monitored the implementation of this most difficult task. Starting today, the Russian Federation will be country that is completely free of chemical weapons. To begin the process of destroying the last chemical ordnance, allow me to turn things over to Head of the Federal Administration for the Safe Storage and Elimination of Chemical Weapons Lt-Gen Valery Kapashin. Vladimir Putin: Mr. Kapashin, go ahead please. Head of the Federal Administration for the Safe Storage and Elimination of Chemical Weapons Lt-Gen Valery Kapashin: Comrade Supreme Commander-in-Chief! We are ready to eliminate the last ordnance bearing the toxic substance VX. Requesting permission to initiate destruction. What we are seeing is an ordnance after it was drilled and placed in position to remove the chemical agent where the ordnance is clasped. The device is checked to ensure that it is hermetically sealed, it is rotated 180 degrees, the chemical agent leaves the ordnance, then it is moved back into the initial position and washed with a de-gassing solution after which it undergoes thermal decontamination and deformation. Comrade Supreme Commander-in-Chief! Chemical weapons in the Russian Federation have been fully destroyed. Vladimir Putin: Thank you. Congratulations! Mr. Ali Rao, go ahead please. Mr. President, it is a momentous occasion today which signals the full elimination of all chemical weapons stockpiles declared by the Russian Federation. It is truly a historic milestone for the Russian Federation, the OPCW and the international community. This joint success further contributes to strengthening provisions of the Convention and highlights its effectiveness in our journey together to eliminate the chemical weapons and work together for a chemical-weapon-free world. It showcases Russia’s steadfast commitment and contribution to disarmament and nonproliferation. I sincerely appreciate your personal interest and decisions to achieve this and offer warm congratulations to you, Mr. President, the Russian Government and all those who worked tirelessly to make this remarkable success a reality. In turn, I would like to thank you, all your colleagues and the entire Organization for the Prohibition of Chemical Weapons for the joint work conducted over many years to reach the goal that it took us almost 20 years to accomplish. We worked together for 20 years to move closer to today. I would like to thank you again and express hope that your organization will continue working with the international community to enhance confidence-building measures and make the world safer, more stable and more secure. Many thanks to you for cooperation. And now I would like to ask our Minister of Industry, Mr. Manturov, to report on plans for using the facilities, structures and infrastructure that has been built, to address national economic tasks. Minister of Industry and Trade Denis Manturov: Thank you, Mr. President. Eight facilities were built for the destruction of chemical weapons. This is cutting-edge infrastructure. Almost 300 billion rubles were spent from the federal budget for this purpose alone over these years. We would be interested in using these facilities for commercial purposes. 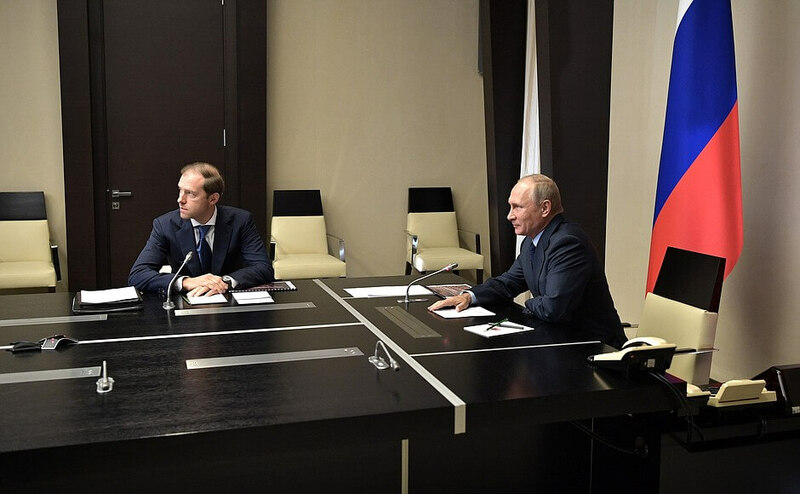 For instance, we plan to organize the production of pharmaceuticals and chemicals at the Pochep facility in the Bryansk Region and the Maradykovsky facility in the Kirov Region. We are planning to use the Kizner facility, where the last chemical arms stockpile was destroyed today, to produce gunpowder and explosives. We are ready to shut down the gunpowder plant in the center of Kazan and transfer gunpowder production to a completely new site. Mr. President, I would like to stress that at present Russia, in fact, does not have the necessary capacities to neutralize industrial wastes of hazard class 1 and class 2 which total about 400,000 tonnes per year. To treat the bulk of this amount, we are going to set up inter-regional centers of hazardous waste decontamination, using such facilities as Kambarka in Urdmurtia, Gorny in the Saratov Region, Shchushye in the Kurgan Region and Leonidovka in the Penza Region. To attract businesses, we intend to grant a concession to operate those facilities, since the most interested parties are companies, including those which use pension funds. Accordingly, under the law, only a concession agreement is possible. Some legislation has to be amended. At the same time, in order to ensure that all the seven facilities are handed over to investors now that the chemical weapons have been destroyed, we have to completely restore those enterprises to a healthy state. To do this, we have earmarked 5.3 billion rubles in the 2018 budget. But taking into account the clean-up work that follows the destruction of chemical weapons, we have prepared a separate sub-program for the period 2019–2024. With your support, we will be able to submit it for consideration, submit it to the Russian Government and, jointly with the Finance Ministry, to reserve funds for the period 2019–2024. Vladimir Putin: All right. Have the final details worked out and submit it to the Government of the Russian Federation. 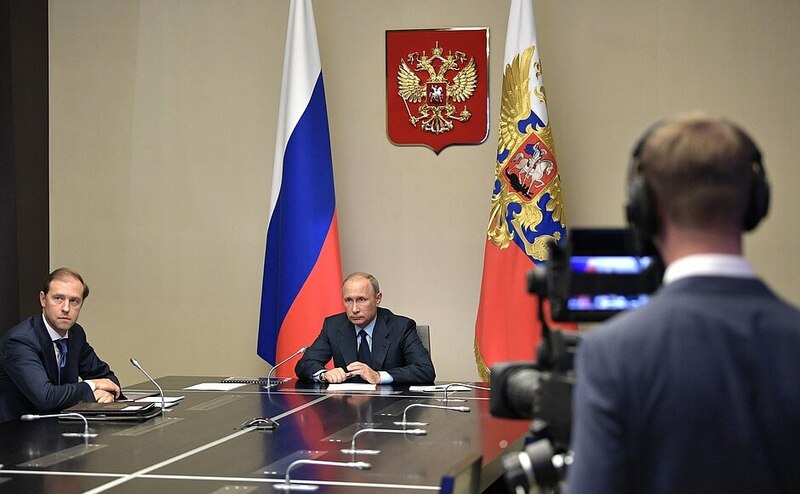 Vladimir Putin: Colleagues, I am addressing our colleagues in Kizner, let me thank you again for the work you have done, and express hope that the plan laid out by the Minister of Industry of the Russian Federation will be implemented. All the infrastructure that has been built, all the assets invested in the noble cause of eliminating chemical weapons, will not be buried here, at these enterprises; they will be used in the future for positive work aimed at creating and developing. There are also enterprises connected with the defense complex. By the way, gun powders are used not only in the defense industry but also in civilian industries, so all that should contribute to the development of the respective regions. And the jobs created, I hope, will not end up on the chopping block, we will do everything possible to preserve them. Thank you very much. All the best! 0 Comment to "Chemical disarmament completed in Russia."